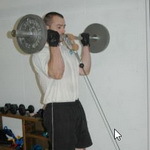 The biceps are the one of the most visible muscles of the physique and among the most fun to work. Learn proper form for some of the most common bicep exercises here. 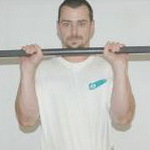 The barbell curl is one of the most frequently performed exercises in the gym...that most people do wrong! Learn proper form as well as tips and tricks for making it even more effective. The stretch this exercise places on the biceps is just incredible...and with this unique, optimized positioning on the bench, you'll get even GREATER stretch that you would with normal form. This curl variation is the unsung hero of arm size. Most people don't do it because it forces them to use less weight, but it has massive potential to improve bicep peak and overall arm mass. You'll be focusing on the peak contraction position of your biceps with this exercise, using the abs to help your body into that maximum contracted position. This combination of two exercises uses the power of antagonistic muscle nervous system activation to help you be 10% stronger in your lift. Using a chain and weight plate in this fashion allows you to keep massive tension on the biceps at the top of the curl movement. 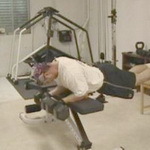 This isometric exercise is incredibly effective for building big, strong biceps while also increasing chin-up strength and endurance. 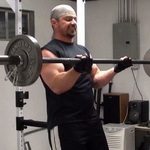 One of the key problems with the barbell curl is the drop-off in tension as you get to the top. 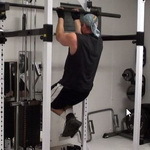 By attaching a cable to the bar, you can KEEP that muscle-building tension on all the way through. The drop-off in tension at the top of the Preacher Curl is even greater than with Standing Barbell Curls. 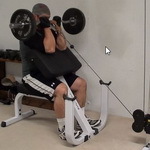 This cable setup allows you to put serious tension on the biceps all the way to the top. 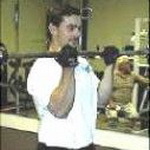 For maximum contraction in the muscles of your forearms, you'll be using a very unique body positioning trick that loads the forearms with free weight and with bodyweight. This exercise is a chin-up variation that puts almost ALL the muscle-building tension and load directly on the biceps rather than the lats. Best bicep builder ever! In addition to the weight of the bar, you'll also be forcing the biceps to adjust to balancing the bar while you're curling it. 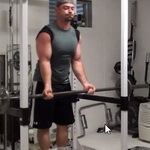 You'll use the rack to start the exercise to get a strong stretch on the biceps at the bottom where you normally would get no tension at all. Great way to build mass! This cable curl variation uses your knees as a leverage point to give you a good stretch at the bottom and a strong contraction at the top. This simple grip trick uses the positioning of your hand on the dumbbell handle to put more tension on the biceps by targeting resisted supination. Working from two different directions, you'll target the biceps with a free weight exercise and a bodyweight exercise in one set. 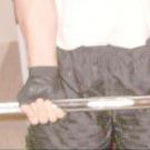 Where you place your hands on the bar makes a big difference in terms of how strong of a contraction you get on the biceps. The start of the curl is where most people screw it up. This technique forces your body into the perfect position to maximize the load on the biceps. 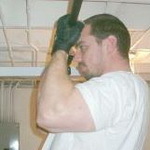 This training technique is brutal and incredibly effective for targeting all three major muscle fiber types in the biceps and triceps. Arms are the showpiece muscles of your body. Use these new exercises for bigger biceps, amazing horseshoe triceps and forearms of steel.